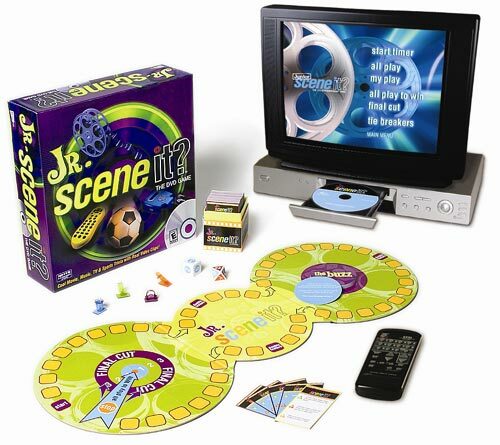 The world's first DVD board game for ages 8 to adult. Scene It? Jr. is packed with popular movie and TV scenes, visual puzzlers, movie trivia, musical artists and athletes. It's cool, fun entertainment that you will find in no other game out there!